How do babies develop core strength? All preterm babies need to strengthen their “core” – that is the muscles in their trunk (stomach, sides, back). We all need core strength to stand, walk, reach, and live our daily lives – babies do too! How do babies develop core strength? By being on the floor on their tummies and playing in a variety of positions. All former preterm babies prefer to be in an extended posture because they had a shorter time being curled up in the womb. While being cared for in the NICU, they can develop extensor muscle dominance that lead to ongoing weakness in the trunk and stiffness in their arms and legs. Most often, this is just habitual and not a permanent neurologic impairment. Many premature babies like to sit or stand rather than roll and move about on the floor, but rolling and crawling are very important for your baby’s overall development. Be sure to help your baby have time on the floor so they can have these important experiences. These activities help to develop not just muscle strength, but also body awareness. To help your baby develop the right muscle strength they need to spend as much time as possible on the floor. Always start your play time with tummy time. Get down low to the floor so that your baby has to be on their tummy to see you, hear you, and smell you. 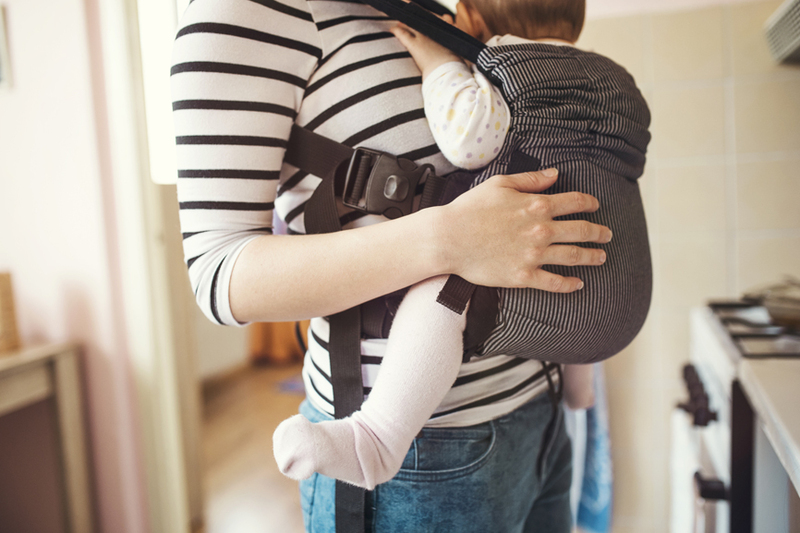 Support your baby with their arms forward and bottom down to encourage their head to lift up. Sing to your baby and use a favourite toy. Shift your baby’s weight from side to side to encourage him to lift his head and look around. Babies take time to get used to tummy time so expect your baby to be fussy at first. Start with putting them on their tummy while you keep their attention with one song. Then as they get used to being on their tummy, you can entertain them in that position for a longer and longer time. As a guide, by the time they are 4 months corrected age, they should be happy on their tummy for 10 minutes at a time. SAFETY: Never leave a baby unsupervised during tummy time and use a clean blanket or other floor covering. A newborn brain changes and develops with every experience a baby has, so even the smallest contact with another person teaches your baby’s brain what to expect and how to react. 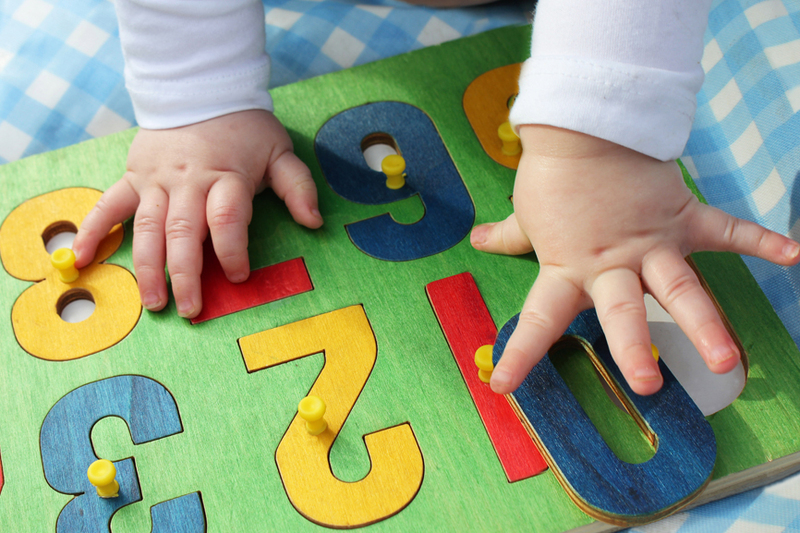 Repetition and simple patterns will help your baby learn – in play, in sleep, and in feeding. 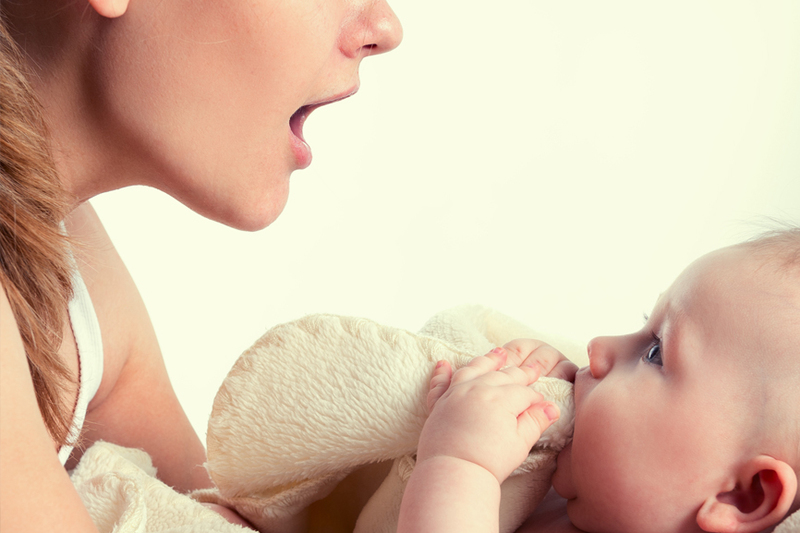 Your baby’s language development is influenced by the sheer number of words that they hear in the first year of life. Singing to babies is also very good for their brain development and the rhythm and cadence of music is great for language development. Preterm babies often needing a lot of sensory stimulation. 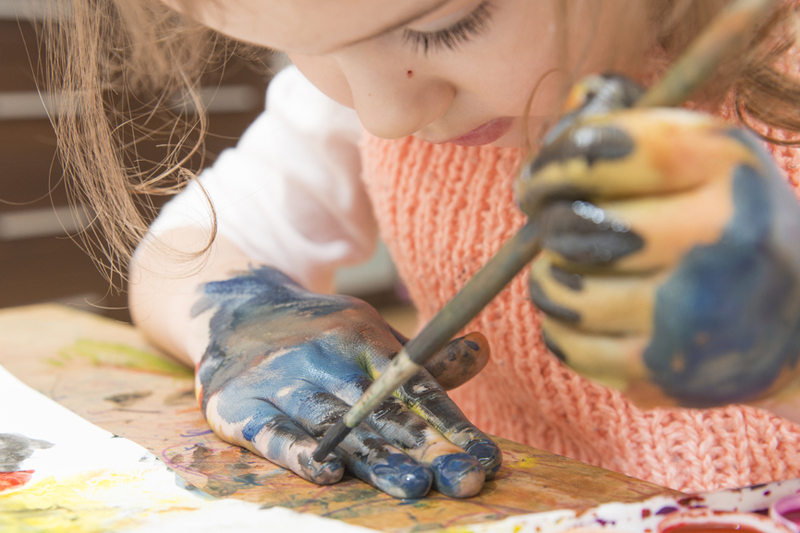 Give them a full range of experiences, with different textures, with water, and with messy play. It is also very important to find quiet moments as that is when your baby’s brain makes memories of what they have experienced and learned. Quiet times are also necessary for your baby to learn to calm himself. Give your baby objects with interesting features to touch, things that require them to grasp, pinch, or poke. At first the movements may seem accidental, but if repeated over time babies will become more intentional in the movements. Just like any other developmental milestone, you can’t make a baby reach for objects, but you can give them the opportunity to reach. A parent’s job is just this: provide the opportunity and when your baby is ready, they will take advantage of it. Older babies need tummy time too! Avoid using equipment that promotes extension of the trunk such as bouncy seats, jump-ups, jumparoos, bouncers and walkers. 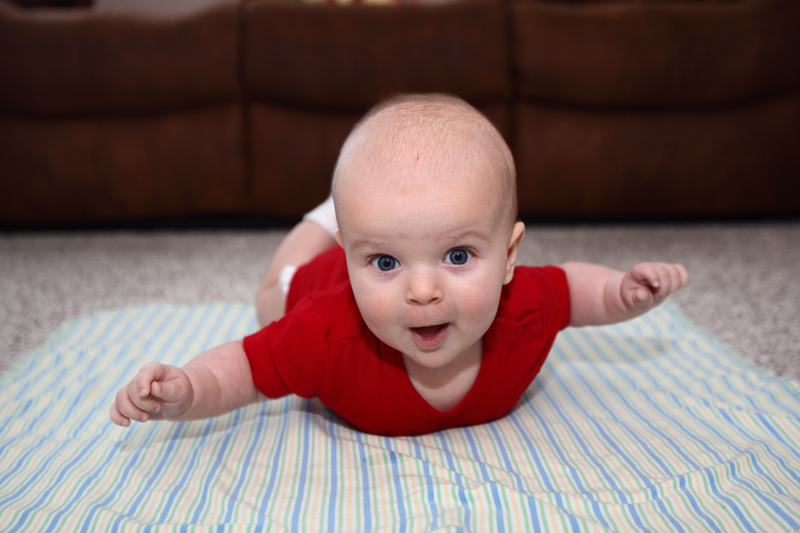 Tummy time is still important as your baby is beginning to learn to stand, cruise, and walk. Floor time will make their first walking much stronger and more confident. Some of these devices can encourage toe-walking which is not good for preterm babies who are already prone to this problem. Head preferences are very common for premature babies. If left alone, this can then develop into a flattening of the head. 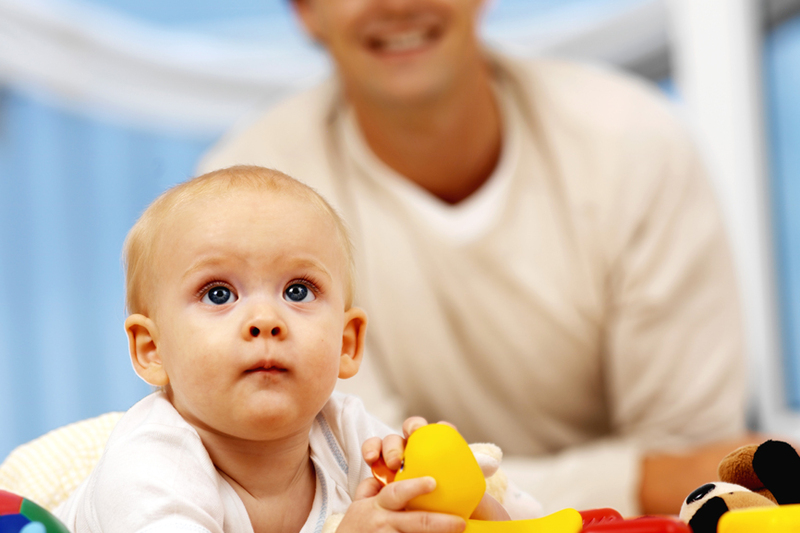 If you notice your baby likes looking to one side, do all your activity and play on the other side i.e. feeding, talking, toys etc. At the start your baby will look at lights and will turn towards your movement. Position their cot so they have to look at you away from their favourite side. Any time off the preferred side is good. Change their head position regularly, carry your baby, use a sling, and avoid too long in a car seat or pram. Regular tummy time is very important for developing the right muscles so that your baby has the strength to start holding their head in a good position. If your baby has started to develop head flattening it will take time to correct. We know that babies born prematurely have different patterns of development (e.g in learning, growing and moving around) but the vast majority of premature babies will develop just like full term babies, but in their own time. By the age of 2 years, most parents will know whether their baby has major challenges in development such as cerebral palsy or intellectual delay. Some premature babies may need help through physiotherapy or occupational therapy in their first year to support their physical and mental development in order to reach their milestones. Many of them will then go on to develop normally without major lifelong challenges. Some preterm children may be more at risk of developing sensory problems with touch, vision, hearing, balance, difficulties with focus and attention, difficulty with social situations, learning challenges, or regulating their emotions. 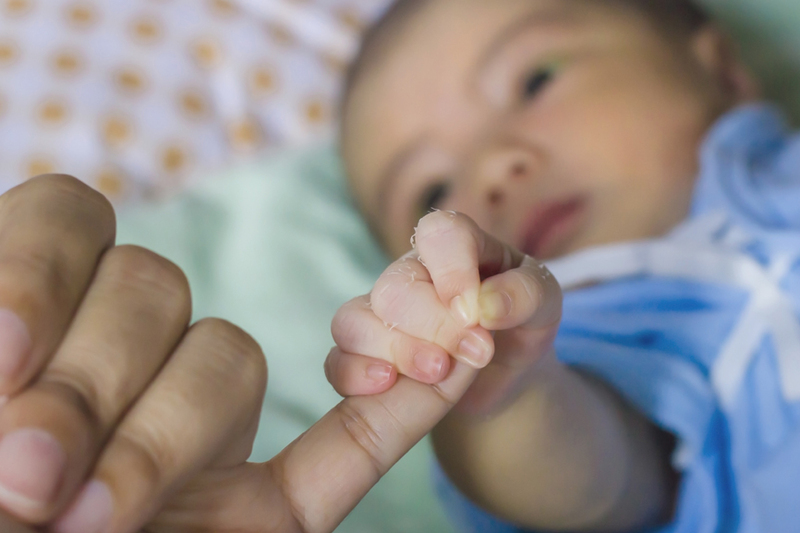 Your baby’s healthcare team will be watching for these issues and recommend help as needed. If you develop any concerns about your baby’s development be sure to discuss them as often as you need to with the healthcare professionals involved in your baby’s care, including your GP, health visitor, physiotherapist or neonatologist or paediatrican. Some of these challenges are not noticed until school age, and then parents often wonder if their child’s challenge is due to their preterm birth, their personality, or to conditions that run in the family. The reality is that it is likely a combination of these factors. Providing as many opportunities as possible to help support your child’s development when they are young can help to reduce these challenges as your child grows. Rolling and crawling are very important for your baby’s overall development. We all need core strength to stand, walk, reach, and live our daily lives – babies do too!